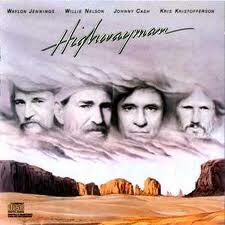 On December 6, 1984, Willie Nelson, Waylon Jennings, Johnny Cash and Kris Kristofferson record “Highwayman” at Nashville’s Moman Studios. Among the musicians on the session is guitarist Marty Stuart. 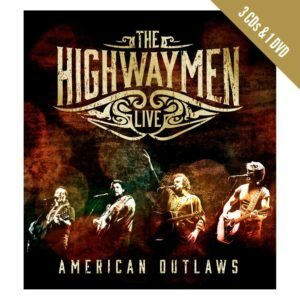 The Highwaymen Live – American Outlaws is a deluxe new 3CD/1DVD box set of concert performances–including a previously unreleased complete concert on CD and DVD–from country music’s legendary first “supergroup,”, featuring Johnny Cash, Willie Nelson, Waylon Jennings and Kris Kristofferson. 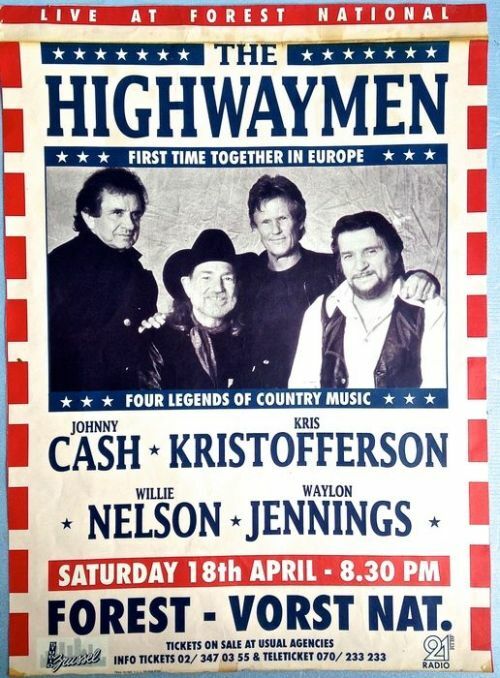 The Highwaymen Live – American Outlaws includes: a) two audio discs recorded live at Nassau Coliseum, Uniondale, New York, March 14, 1990; b) an audio disc with tracks recorded live at various Farm Aid Festivals and c) a previously unreleased full-length concert film recorded live at Nassau Coliseum, Uniondale, New York, March 14, 1990 and transferred from the original film reels especially for this collection. 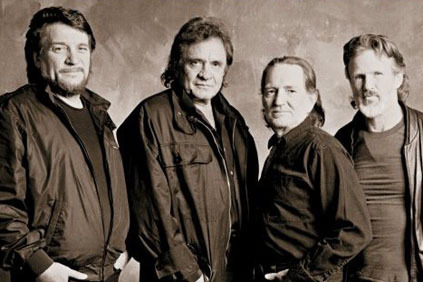 As an added bonus, The Highwaymen Live – American Outlaws debuts a previously unreleased recording of “One Too Many Mornings,” an alternate take of a Bob Dylan song which appeared on Heroes, a 1986 collaboration album by Johnny Cash and Waylon Jennings. 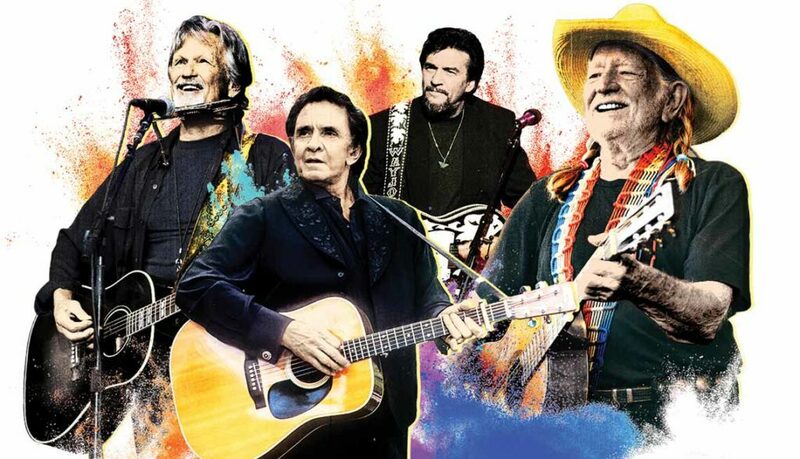 The track’s new incarnation on The Highwaymen Live – American Outlaws includes vocals recorded by Willie Nelson and Kris Kristofferson in 2014.